The book has finally been published. This version is the translation of our German book 3rd edition, with some updates due to very recent new developments. 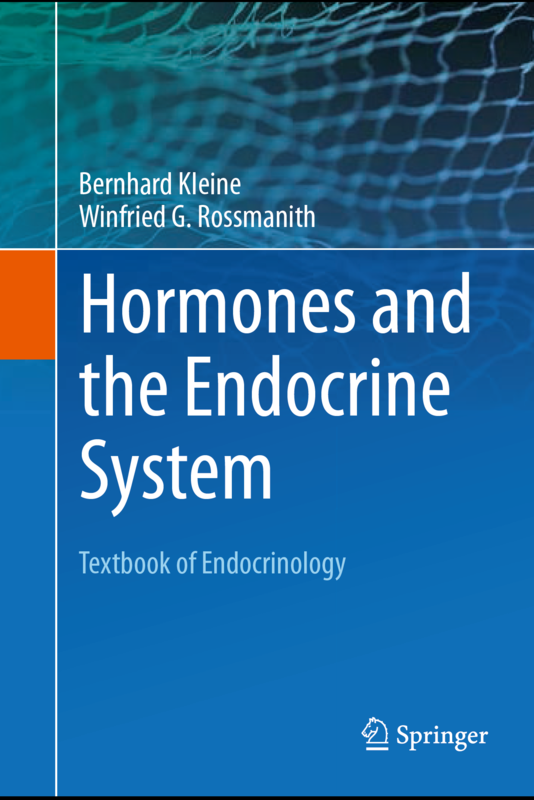 The part on Juvenile Hormones was critically read by Prof. Riddiford from the USA and is thus up-to-date. I like to say thank you so much to numerous colleagues who have contributed articles that this book could be written in its present form. It has been a pleasure to work with the Springer people who produced the book. Thank you to Dr. Britta Müller and Martina Himberger who took the burden to defend and to publish this book. It has been a continious pleasure to get the help form the tex-community where I got posed many questions to make the book look nice. Among those who have contributed tremendously by reading large parts of the German and English version are my wife Beate who helped with the original version, Prof. Hubertus Jarry in Göttingen and Prof. Ashley Grossman now in Oxford who encouraged me to go on with the English version after reading the 80 % translated and uncorrected intermediate. When you find this book enlightning, please write to me. If you think that issues are wrongly presented, please write to me that I improve the book in a next version. It has been a pleasure to prepare this book, it is an even greater pleasure to see it coming out.